Taco time! 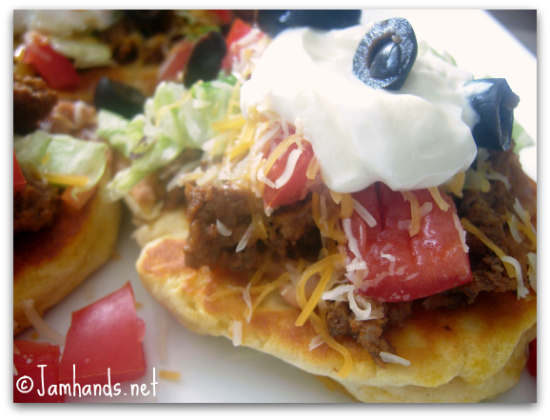 If you love tacos but are getting tired of the same old flour tortilla, give this recipe for Flat Bread Taco Supreme a try. 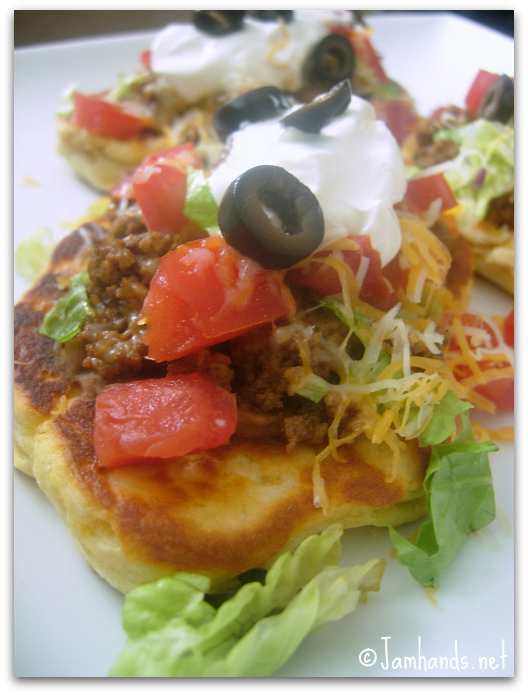 For a time saver it utilizes canned biscuit dough that is dry cooked in a pan until browned. If making dough from scratch is your thing, by all means feel free to Google a recipe, but dough is one thing I don't have much patience for, not to mention my oven is possessed by the devil, so I either buy my bread products or buy raw/frozen dough. On a side note, I was blog browsing a while and came across a post, rather a rant I should call it, about how premade products are so completely atrocious and basically how dare any real food blogger should use such an ingredient, ever. It was so incredibly intolerant I was speechless for a few minutes. I almost left a comment, but in the end I didn't. I had the feeling she would go totally ballistic if someone disagreed with her. Isn't it funny how upset people get over how other people choose to cook? Furthermore, if you wanted to try to convince other people to try your way of cooking, why would you ridicule and shame them? Why not, you know, be nice? Maybe nice is asking too much. 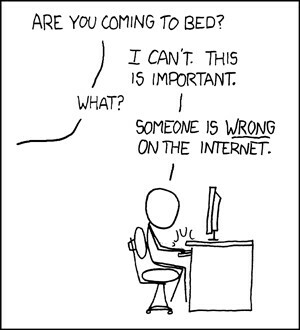 Yelling on the internet is such a better use of time, hah hah. Anyways, I saw the original recipe for Flat Bread Tacos over at Your Homebased Mom a while back and knew I had to try it out. I had a half sized can of biscuits sitting in my fridge with no way to use them and this was the perfect solution. Since this is cooked in a pan with no oil, it is a great balance between freshly cooked and crispy, and a bit soft and chewy in spots. Using her technique of cooking the biscuit dough in a dry pan, I changed the filling based on my preferences. You can see what she choose for her fillings here. 1. Cook the ground beef until browned. Rinse the meat if you'd like to make it more lean. Transfer back to the pot. Add taco seasoning and about 3/4 cup of water. Simmer for a few minutes and remove from heat. Set aside. 2. Prepare the biscuit dough: Separate pieces of biscuit dough from the can. Flatten them using your hand or a rolling pin and stretch them out as much as possible without ripping the dough. Heat a dry non stick saute pan over medium high, then add 2-3 pieces of the dough. Cook on each side until lightly browned and cooked though, about 1-2 minutes on each side. If the dough is getting browned too quickly, the heat is too high. 3. Layer your toppings. 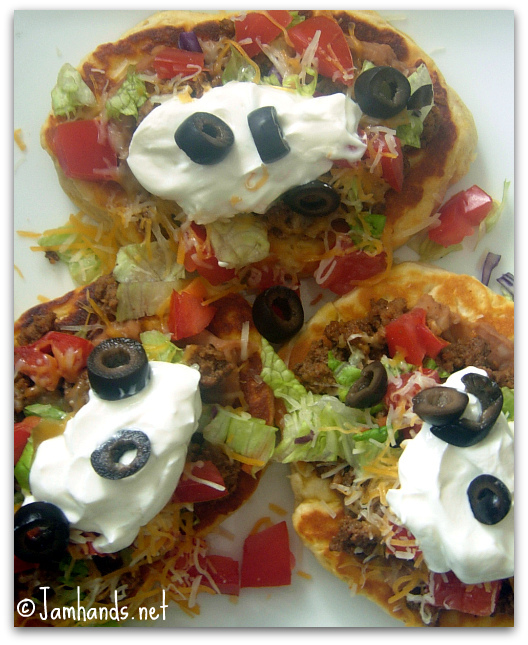 From top to bottom I went: refried beans, taco meat (the beans hold the meat in place so it doesnt spill all over), cheese, lettuce, tomatoes, sour cream and olives. What a great idea using canned biscuit dough!! I'm dying to try these, they look scrumptious. I would love to read that rant, lol! I always have Pillsbury pie crusts in my fridge (I don't do pie crusts) and I just made bars the other day using Pillsbury ready to bake chocolate chip cookies. Baking from scratch is nice, but I'm not embarrassed to admit I take short cuts now and then. Great post!!! Have a great weekend! My son is currently obsessed with flat bread, so these will be a great lunch for him to try. These look really delicious and so easy too! Thanks for sharing! Thanks for the reminder on using canned biscuit dough for this recipe. So easy and I can have my kids make it! Small world, how long has it been since you lived in Anaconda? Been here almost 2 years now. @ Brenda - I used to always get the Pillsbury pie dough that you have to unravel and add to a pie dish, but I was never really thrilled with the taste of them, or how the edges would never crimp. I have since switched to the pie shells that are in the freezer section that are already in a pan. Two in a pack. I love those for my quiche. @ Marguerite - I bet he will like them. They are really tasty.